Power Slowly Coming Back 3 Days after Nor'easter - Integration Through Media ....! 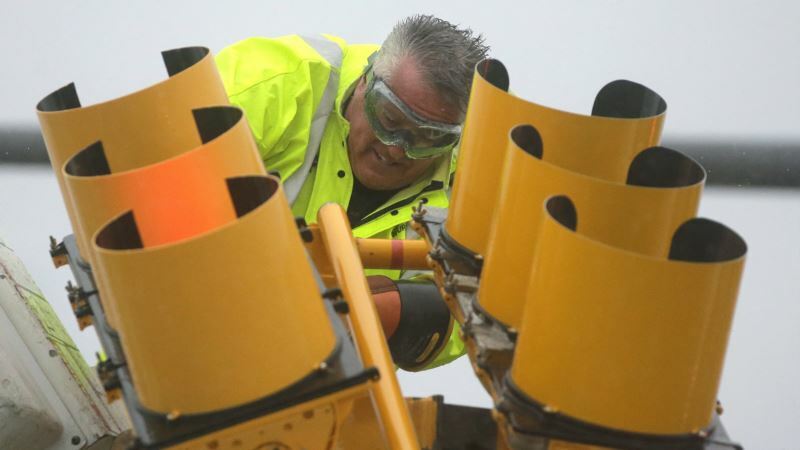 (VOA): Power is slowly being restored in the hardest-hit areas of the East Coast, days after a destructive nor'easter downed trees and power lines, flooded coastal towns and forced a number of school districts to cancel classes – all with another storm forecast for midweek. Residents from Virginia to Massachusetts faced a massive cleanup Monday following the storm, which was blamed for nine deaths, including two children struck by trees. Utility crews worked around the clock to restore power to the affected areas, as nearly 300,000 struggled without electricity. At the height of the storm, more than 2 million homes and businesses were without electricity. Three days after the storm, some residents were still unsure when they could return to their homes. The storm pounded the Eastern Seaboard with a combination of gusting winds, rain and snow, and coastal communities were left to deal with damaging high tide flooding as powerful waves and churning surf pounded shorelines and beachfront homes. Even as the cleanup is underway, the forecast is for another storm to churn up the coast midweek. Nearly 100,000 utility customers in Massachusetts, Connecticut and Rhode Island were still without electricity Monday, and commuter trains continued to experience delays. Dozens of Massachusetts schools remained closed, most in coastal areas south of Boston, which bore the brunt of the storm. The Massachusetts Bay Transportation Authority was reporting commuter rail delays, particularly along coastal routes still recovering from weather-related problems. The region's major airports were operating at near normal capacity. In Pennsylvania, 100,000 were waiting for power to be restored as hundreds of crews worked to clear trees and repair power lines. Officials said some customers may not have service restored until at least Tuesday. At the peak of the storm, roughly 587,000 customers were without power. Some schools were closed, while others were delaying their opening. In New Jersey, more than 75,000 were without electricity Monday, and it could take another day before all service is restored. The hardest hit area was northern New Jersey. Some schools were closed amid numerous downed trees and power lines and flooding.